Lulu and Jek are science nerds, and have been best friends since they were young . . . or at least they used to be. Lately Jek has been pulling away from Lulu, just as she's coming to terms with how she really feels about him. Just as she was ready to see if there could be something more between them. But Lulu's thoughts are derailed by a mysterious new guy who's showing up at local parties. Hyde is the definition of a bad boy, and everybody knows it . . . but no one can seem to resist his charms. And even though Lulu's heart belongs to Jek, she can't deny Hyde's attraction either. 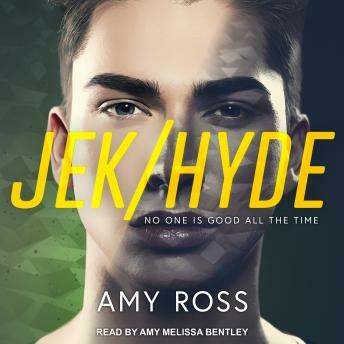 If Hyde has a dark secret, Lulu is determined to find out what it is, and to help Jek . . . before it's too late for both of them.